Custom-designed and built to enhance your home and complement your personality. Every Texas Custom Patios project is custom-designed and built to enhance your home and complement your personality. We provide a turnkey custom design project. 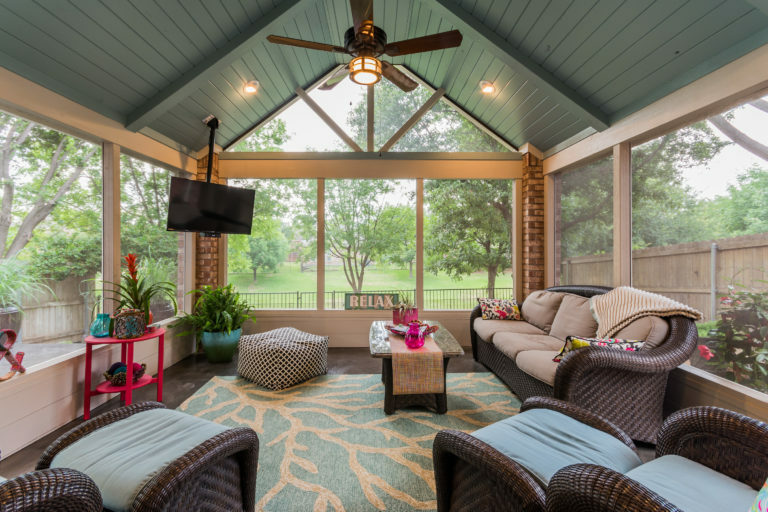 Our specialty is building projects that look original to the home, including patio covers, pergolas, screened porches, room additions, guest houses, decks, outdoor kitchens, fireplaces, and custom patios. We serve much of the Greater Houston and Dallas Fort Worth areas, including Cypress, The Woodlands, Fulshear, Katy, Missouri City, Richmond, Rosenberg, Pearland, Spring, Sugar Land, and Tomball. If you're near these areas, contact us to discuss your project. You will know exactly what you are getting when you choose to work with Texas Custom Patios. If you would like a detailed explanation of the process we use from design to completed construction, visit our process page where we walk you through the steps.